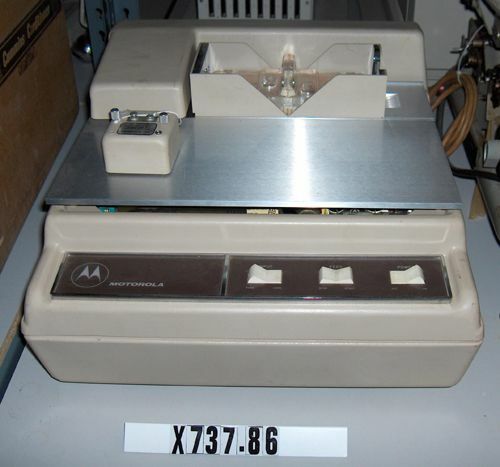 Object consists of main unit, teletype adapter, vinyl case, several punch cards and card weight. All database fields represent the main unit of this object. Affixed to case is a CHM label that reads "Mr. George Leyland".